Christ or Self? 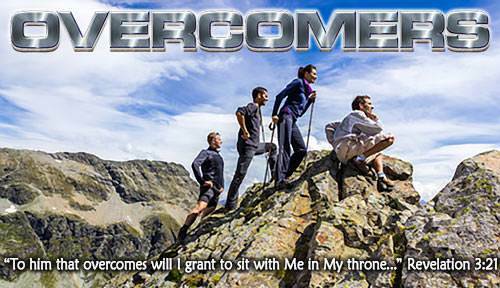 Lesson 9 Questions in "Overcomers"
Lesson 9: Christ or Self? 1. The enemy, which the Bible calls "the flesh,"
b) dwells outside of me. a) rebellion against other people. b) SELF did not move out. a) God said SELF was really bad. b) God put sinful SELF on the cross. a) try to keep SELF under control. b) agree with Him that SELF shall be put on the cross and kept there. a) God counts this as belonging to my old life. He always sees me as a new person in Christ. b) God counts this against me. a) and I have to accept them. b) but I can refuse them and say to him, "Satan, these are your thoughts, not mine. I refuse them!" a) God is for me! b) I must fight this battle by myself.